Dr. Navid Navizadeh, MD, F.A.C.O.G., is a vConfidence approved physician, and is a leading provider of women’s health services including obstetrics and gynecology, and is devoted to providing patients with services such as fetal testing, family planning, minimally invasive procedures, genetic counseling, gynecological cancers screening, laparoscopic surgery, 4D/3D ultrasounds, hysteroscopy, and pelvic reconstruction as well as care for infertility, menopause, urinary incontinence, and osteoporosis. Dr. Navizadeh is the founder and medical director of Valencia Center for Women’s Health and is proud to offer a full suite of advanced vConfidence solutions to his patients. He received his undergraduate degree in genetics and molecular biology at the University of California. Dr. Navizadeh completed a comprehensive research fellowship in molecular and cell biology at the University of California at San Francisco (UCSF) and then expanded his research experience at the University of Southern California’s School of Medicine, where he obtained his medical degree. While at the USC School of Medicine, Dr. Navizadeh had the chance to work on innovative research projects in the fields of obstetrics, gynecology, endocrinology, infertility, and ultrasound imaging and was awarded the Pacific Coast Fertility Society’s award in Estrogen research. Dr. Navizadeh completed an internship in Obstetrics at the Parkland Memorial Hospital in Dallas, Texas and he continued his residency at Mount Sinai-Maimonides Medical Center in New York where his group’s work in ultrasonography to predicate preterm labor was published and received several awards. In the area of infertility and endocrinology, Dr. Navizadeh's works contributed to the understanding of the effects of an embryo’s size and quality in the process of in-vitro fertilization (IVF). 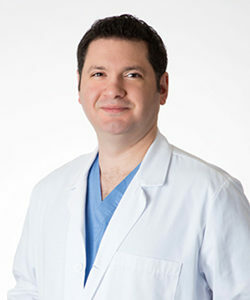 Dr. Navizadeh completed the prestigious Galloway fellowship at the Memorial Sloan-Kettering Cancer Center in New York City where he had the opportunity to advance his surgical skills in complex gynecological operations in addition to learning the latest laparoscopic and endoscope techniques. You can turn to Dr. Navizadeh with confidence for all your uniquely feminine needs, as he is a vConfidence approved physician who is a tireless champion when it comes to empowering women to improve their feminine quality of life through non-invasive non-surgical methods. We invite you to schedule your complimentary consultation with Dr. Navizadeh and learn more about the difference that vConfidence can make in your life.